I love all this stuff. I also enjoy drinking Guinness. I appreciated the historical context for beer drinking, not only in the home, it was healthier than water, but also in the Church, the clergy were allotted a gallon of beer a day. Wow! He also finds great Luther quotes on beer and drinking. This was a fun history to read. 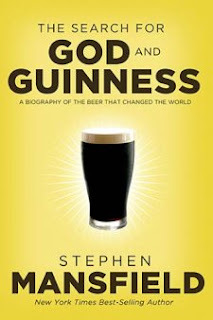 I think any Christian beer drinker will especially enjoy it like I did.